Blush tones are a great way to keep your wardrobe looking fresh. 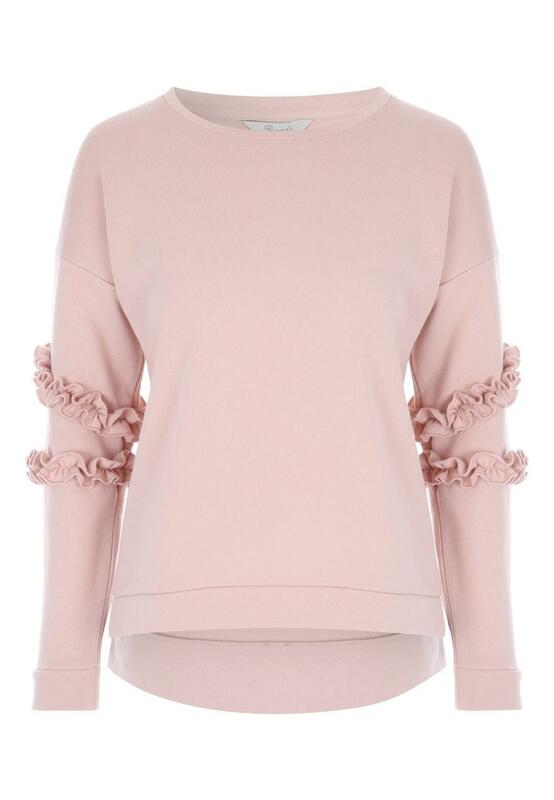 This frill jumper is the perfect piece for casual dressing. 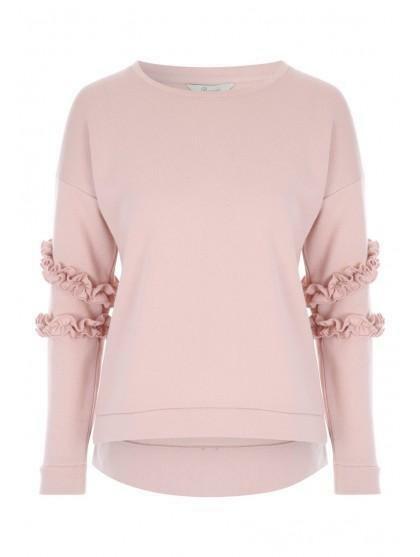 In a pale pink hue with frill arm detail, team with skinny jeans and trainers for a chic daytime look!